« The Spirit has Arrived! 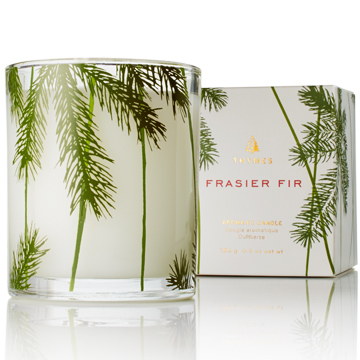 A most popular fragrance – a perennial favourite from crisp Siberian Fir needles needles, heartening cedarwood, relaxing sandalwood. 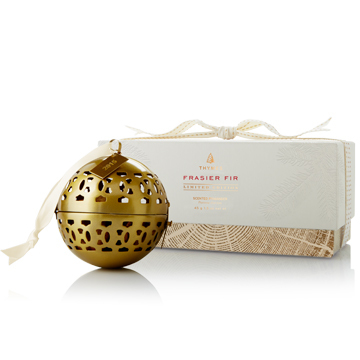 A pretty pomander contains Frasier Fir-scented wood circlets, gently filling the air with fragrance while hanging beautifully from a doorknob, tree branch or resting on a tabletop. Complete with designer ribbon. An elegant twist on a seasonal favorite. 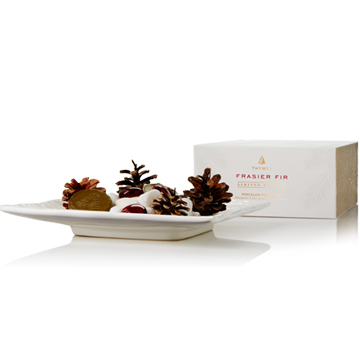 This petite potpourri set features crimson “berry” beads and porcelain discs emblazoned with the iconic fir tree. Includes 6” square decorative white ceramic plate and mini refresher oil to keep the fresh-cut fragrance vibrant through the season. A holiday décor item that scents as beautifully as it looks. Makes a wonderful present or housewarming gift.